Come check out Raine O’Tierney’s The Hat Party Blog for an interview and another chance to be entered in the giveaways! In addition, 7/20/20, join me on Facebook at 2:30pm EST for a half hour chat on the Rainbow Gold Reviews FB page to celebrate Pride! Come check out The Kimichan Experience Book Reviews Blog for 10 Things You Didn’t Know About Brigham Vaughn and another chance to be entered in the giveaways! In addition, next Sunday, 7/20/20, join me on Facebook at 2:30pm EST for a half hour chat on the Rainbow Gold Reviews FB page to celebrate Pride! Come check out The Blogger Girls for a second excerpt of “Equals” and another chance to be entered in the giveaways! “Equals” Blog Tour – GGR Review – Review and Giveaway. Come check out GGR Review for a review of “Equals” and a guest post I wrote about transitioning from short stories to novels! 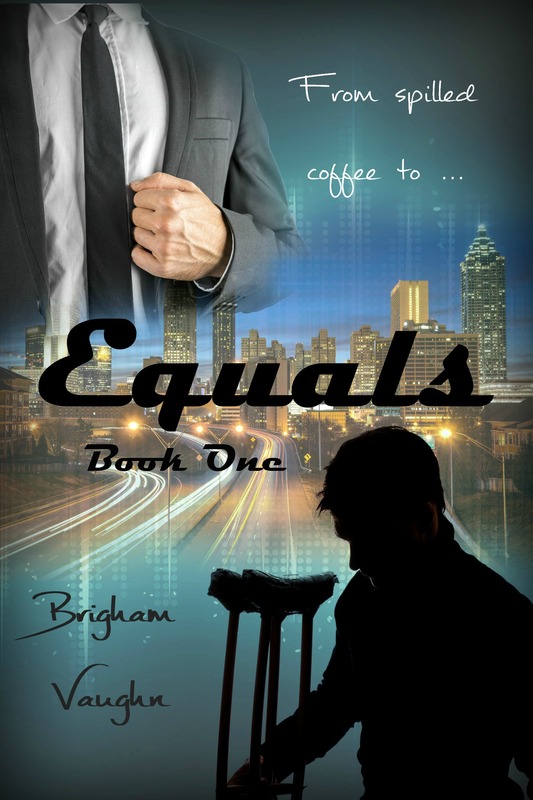 The blog tour for Equals continues on The Novel Approach with a character interview. Allison Hickman and I interviewed Russ and Stephen. Come check it out and win one of my backlist titles AND a chance for a $10 Amazon gift card. Each guest brings a nice prize (most will be received by the lucky winners on the same day) and there will be more than 10 Guest Posts with giveaways on our blog. Today, 7/20/2014,I will be on the Rainbow Gold Reviews Event Facebook Page at 2:30pm EST/1:30pm CDT so come chat with me, check out the other authors, and enjoy the giveaways! Yesterday’s release of “Equals” was very successful. It’s the best day for sales I’ve ever had! Huge thanks to all of you who helped make that happen. The blog tour began yesterday with a guest post and review on Prism Book Alliance. In the post, I discuss 10 Songs I Listened to While Writing Equals. And it includes a link to a Spotify playlist you can listen to. Today’s Stop: Love Byte’s Reviews with a longer excerpt and a chance to win! Please keep an eye out for all of the stops on the blog tour, I know you’ll love what I have planned. Too busy to date while he worked to put himself through school, Russell Bishop’s dedication finally pays off; he has a great job with Vantage Marketing. Stephen Parker, CFO of the marketing firm, has resigned himself to a life without a partner. For six months, they wanted each other but it isn’t until Russ slips on spilled coffee, and Stephen rushes to his rescue that they discover their attraction is mutual. However, the twenty year age gap between them proves difficult when they begin dating. Fiercely independent, Russ isn’t sure he’s ready for long-term commitment. Scarred from a previous relationship, Stephen is afraid history is repeating itself. Is there any way for them to meet in the middle and become equals? As I said in an earlier post, I’d been toying with the idea of writing a story about a couple with a significant age gap. I ran across a picture (more on that early next week) that sparked an idea and the plot slowly built from there. Unlike many of my previous stories where the idea came all at once, in a rush, this was slower. It came in fits and starts, trickling out. Every story is different, and I kind of love that. Sometimes lines of dialogue that pop into my head tells me who the characters are. In this case, getting a solid grasp of where the characters came from and finding out what their motivation was needed to be squared away before I could truly hear them. My pre-readers, who I can’t thank enough, were fantastic about brainstorming ideas with me. Russ and Stephen were an absolutely fascinating pair for me to explore. Although Lucas and Sean in the Wine Tasting Series had an age gap, it was only eleven years and both were financially secure, over thirty, and Lucas’ career was more established. Russ and Stephen have a lot more to deal with, and almost two decades of age difference. There’s bound to be some friction there, huh? With Stephen’s past relationship looming over them and Russ’ stubbornness … well, they have a lot to work through. Keep an eye out for the blog tour info. I’ll post that in the near future. And I can’t wait to hear what you think of Russ and Stephen!